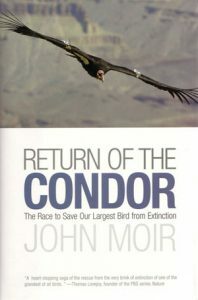 Return of the Condor: the race to save our largest bird from extinction. WAS $55. This fascinating volume takes a unique insider’s look at the remarkable story of the fight to save a species from the brink of extinction. During the 1980’s the condor population in America was down to only twenty-two individuals. It was at this make or break moment in the condor’s remarkable history that a team of scientists pursued an unconventional and controversial means to save it. “Return of the Condor” is a stunning and inspiring look at the passion and courage of these scientists, and the controversy surrounding their exceptional plans to save one of the world’s most beautiful and majestic creatures. Harriers: journeys around the world: a personal quest. Limited to 700 copies. 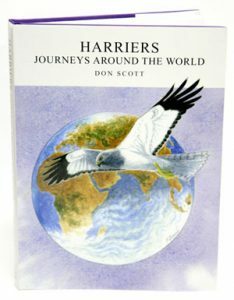 Until recently harriers were one of the least known group of birds but after an in-depth study of the Hen harrier in Northern Ireland, Don Scott succeeded in his passion to observe and study all 16 of the World’s species as well as the single subspecies of harrier. This quest which began over 20 years ago in Don’s home country has taken him to six continents. His sometimes dangerous journeys encompassed many exotic locations where harriers had previously received little general interest or scientific attention. The author’s dogged persistence in the field enabled him to witness traits of behaviour previously unknown in harriers. It began with the unique discovery of tree-nesting Hen Harriers and culminated with the Papuan Harrier in Papua New Guinea. This book will be irresistible to birders and biologists alike. It not only highlights the sheer majesty of harriers but helps focus attention to their individual plights which if left unrecognized will result in an uncertain future for many of the species which make up this group of birds. The stunning photographs which grace this book have been generously provided to the author by his friends and travelling companions, many of whom are themselves well-known international raptor experts. These pictures, together with Philip Snow’s watercolours, should not be missed.